John & Tracy Taddey, D.D.S. One of our patients who needed a crown over an implant and a crown over a repaired tooth which was previously decayed. Dental implants are artificial roots and teeth (usually titanium) that are surgically placed into the upper or lower jaw bone by a dentist, Oral Surgeon, or Periodontist - surgical specialists of the gums and supporting bone. The teeth attached to implants are very natural looking and often enhance or restore a patient’s smile! X-rays and impressions (molds) are taken of the jaw and teeth to determine bone, gum tissue, and spacing available for an implant. While the area is numb, the implant will be surgically placed into the bone and allowed to heal and integrate itself onto the bone for up to six months. 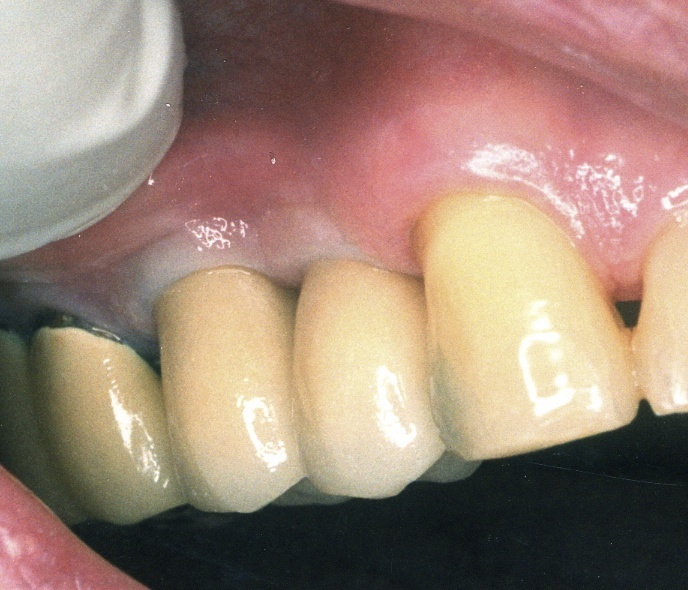 An Abutment is then added and will hold the artificial tooth in place. Often the implant, abutment and temporary tooth are all placed at the initial treatment. 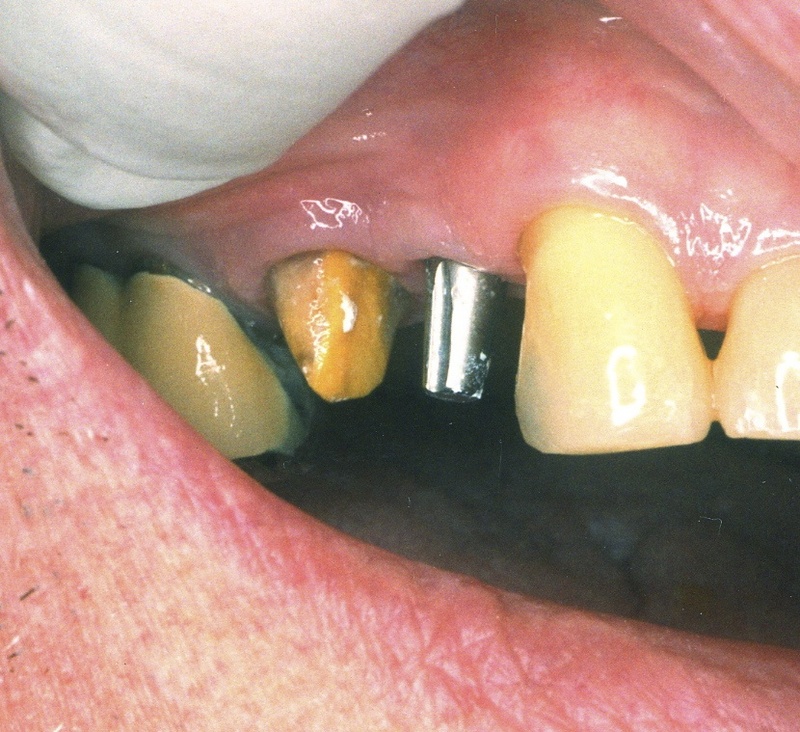 This is called immediate loading of the implant.